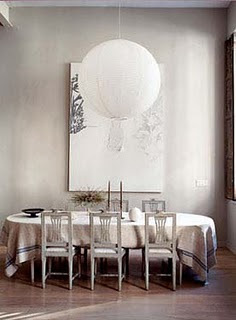 I didn't realize I had saved all these images of draped dining tables until they began to catch my eye. But I think I know the reason they jumped out at me today: I want to lighten up my dining table. It's a nice enough table: a double pedestal mahogany and yew. But my tastes have changed since I got it years ago. It's too dark and too traditional. I like this draped look, but I'm not too sure it's practical. Do I dare change out my table? Ouch! And will I regret it later? And while we're at it - what about the mahogany bedroom furniture I just had to have a few years back? Now I yearn for a light-colored upholstered headboard and some kicky mis-matched bedside tables. But do I dare get rid of such an expensive investment? What do you do when you realize your style has changed? mmmm ... a little of both ... but yet mostly traditional ...they've been doing this in Europe forever ...so there it's a tradition. or buy my french upholstered headboard and footboard want pictures? i hear you .. I loathe my bed, a high quality Italian slightly curved lighter wood and would kill for an upholstered headboard too. But can I just swap beds at a whim?????? I guess that's why people say only buy classic (which it sounds like your dining table is). And a beautiful vintage linen tablecloth would look amazing on it I am sure, and cheaper than buying a new table. Lovely, most have gotten away from table cloths, and have resulted to table runners **ugh** I have this little collection of cloths that I inherited from various family members. I use them when I have special dinners. That firts chandelier is fab! First, it makes total sense that in summer...you want to lighten up. The draping is a perfect way to transition into this season. But, come fall/winter, you'll be glad you have that table. Second, I think it is totally fine to let things go. It's honestly just stuff. And, I have found that when I allow some things to go, new more wonderful things can come in. I've been feeling a "purge" of my stuff coming on...that's probably where my point of view is coming from!! Do what you feel in your bones! I think a table cloth would be a simple solution to lighten up your table. You could still have Kitchy tables in your bedroom with your wooden headboard. Perhaps your nightstands could find another home elsewhere in your house. That's the problem when you peruse gorgeous photos for your blog.....you feel a need for change...often. Freshen up - but don't go all out changing bc youll find yourself in the same position in a few years down the road! 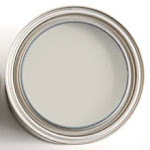 Incorporate new upholstery or fabrics where you can and freshen up casegoods with a new stain or paint color but be sure to keep some of the original ... the art is always in the blend! I try to see what I can do with what I have, lest it change again! I think the table drape is both, clearly traditional, but also the trend of the moment and a breath of fresh air. ugh..you are me! No advice here, just another fickle style decorista! All of these images are gorgeous! I say go for it and make the change. You will keep thinking about it until you do, and when you do, I want to see the pics!! What popped to me were the magnificent chairs is n all the pictures. Wonderful! I need some with the new farmtable we are refinishing! I think you should try the draped table... After all its only a cloth! I wouldnt swap out such expensive stuff, unless you could sell it and recoup some of your investment. Im sure you told ur husband "this stuff is forever" as part of the argument for buying it. So why not drape the table? Nothing to lose and its beautiful! I am in the midst of the very same dilemma. My (also expensive) large, traditional, mahogany, double pedestal with inlayed top dining table is holding me hostage. I bought a great old drop-leaf, round-top table not too long ago that I want to use instead, but am left with the problem of finding a home for the old table--it's not like a side chair or occasional table that you can just move to the guest room. This is (just one) reason why I need two homes--so I when I'm feeling English, mahogany, cluttered and traditional, I can go to that home and if I'm in my current frame of mind--French/Swedish/Belgian, tonal, restful- I have somewhere for that too. I hate the thought of selling, or donating my old table, because you know, sure as anything, one of these days, my traditional English yearnings will get the best of me. All of my furniture is from my first apartment so it's cheap and I have no problem getting rid of it. I'm afraid of this in the future though. So far my plan has been to think about things for ridiculous amounts of time before buying. I'm sure I'll replace everything someday but hopefully this will last for a while! I'm kicking myself too...I didn't get into these style blogs until after I got married and registered. I would have asked for way cooler things! We eat in the dining room all the time, usually with, sometimes without a cloth. I never even gave it a second thought beyond which one do I want this week. (Yes, spots happen.) 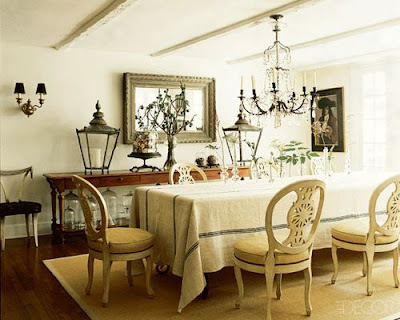 Don't burden your mind wondering whether to "drape" a table. Just put a tablecloth on it. Why not? uggh thats the worst! at least a table cloth is a easy and cheap change out. Can you move your bedside tables into another bedroom and bring some more variety into your space? yes, i too know your pain! all i can suggest is lightening up though small items, lamps, cloth etc. perhaps you could sew a tie on linen slip cover to go over your timber bed head to soften it up? On your furniture. Try to make what you have work for right now. I mean take the time to find out if you really love the piece and it is worth refinishing or painting it to make it the style to are interested in now. I try not to follow trends to heavily but to buy what I love. I am not a fan of matching furniture so it seems to work through the years.. and if I "need" to add something it is okay to move another item onto another loving home. You could try to find a high end consignment shop if you decide you really, really need a change. I can totally relate. I think those of us who are obsessed with design have this problem. We should come up with some kind of system where we can trade around. My taste changes too quickly for my budget to catch up! Blogging makes me realize my tastes are changing every day. Its one thing to stay up with the latest and greatest for your clients. Its quite another when you become dissatisfied with every thing you own, as I sometimes feel. Then I take a big gulp and decide what I really want to change and what is just another trend. This calms me down and I realize that there are a lot of things I have done really right and take comfort in that. I love very old crusty things and never get tired of those. Its those new things that just start to look old that I always wonder why did I do that? wow, I'm really rambling today. I've been on the computer too long. Thanks for the post. I enjoy every one you do. Love this post! I am dealing with the same problems. I moved my dark bed now painted white to my guest room and had a grass cloth covered headboard made for my room -heaven-, loaned my antique dark dining room table to my neighbor and got a new one and now I am going to get bright yellow chairs for my kitchen!! I so need to lighten up!! Love this post because it does affect most of us. The light cloth is a fantastic idea for the table. I think I might use it in my dining room to get me thru until I decide if I will really make it over. So to answer your question... what do you do? I hold a designer challenge and quickly see that there are other million styles that I love out there, and take a second look at my room and say I can tweak it, without redoing the whole thing. Oh, poignant post! My style is alwyas changing but when I give it some thought, I come back to appreciating the classics I have, like the walnut 100-year old Queen Anne dining room table for 10 and sideboard and china cabinet. Yes, they are not like the cerused oak I saw last week, which is light and airy and fresh (and made me briefly hate mine!) but they are classic antiques and always look stately, if not trendy. I use lots of tablecloths, mostly white hotel style and one linen one that is more flowy but you have to be careful not to catch it on your pants legs when you get up as you can pull everything off the table (I almost did). Better for photo shoots!! 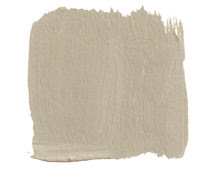 But I would grow tired of white painted floors, etc. and white furniture I know it. Oh dude, I know the feeling, it is a tough question. I like the draped tables though! I don't see any point in keeping things around if you don't love them any more. I definitely think you should try draping your dining table. It's easy to go back if you change your mind. I LOVE the skona hem image. I always go vintage - for that exact reason. I've changed my dining room table three times (oh, that sounds so bad!) - but each time, I've been able to resell my table for what I paid for it. My hub works from home and has ADD - oddly enough, this dictates that our space changes often or he gets frustrated and loses his creative flare. As a result, every room has inherent flexibility - it's easy to move around and change. I keep major pieces neutral (sofas are solid colours), try to actively embrace the same basic colour groups throughout the house. With this approach, I can move furniture around when we need a quick change. As for headboards - I have a set that is a nice basic art deco. Whenever I need a change in style, I swap out the headboard and it's amazing how quickly that makes a whole room transform. Oh and another thing! I often chat with my friends about my dreams - sometimes they have a piece that I love that they aren't big fans of, we then trade it up. I think we should think about furniture more like we do clothing. Some items are classic, you never tire of them, and they never go out of style. But...some clothing becomes pitifully out of fashion long before it wears out. You wouldn't continue to wear the dress with the large lace collar that was so popular back in the 80's just because it is still "good", would you? You probably DO have a classic suit or blazer that just looks as good today as it did 20 or 30 years ago (like most people could still wear the same size they wore 20 years ago!) Whose rule is it that just because you buy quality furniture, you have to live with it forever? Liberate yourself to live with things you love--old, new, familiar, unfamiliar. I have an ultra traditional Chippendale style bedroom suit that I bought when I was 23 to be my "grown up furniture" for my first house - a four-poster bed, chest of drawers, dresser with mirror, and pair of nightstands. Ah, yes, that's a lot of Chippendale in one room lol When we moved recently, I was in a pique because I thought there wasn't anything I could do to make it feel less traditional. I broke up the suit and changed the feeling with bedding and art. I'm VERY pleased with how it's turned out. The four poster (a queen, and we now have a king) is in the guest room with a beautiful Ralph Lauren Balinese-inspired duvet. I accessorized with exotic souvenirs and artwork from our travels and any stuffy impression is gone completely. The remaining pieces are in the master bedroom. I have a large 4'x5' modern painting serving as the headboard. 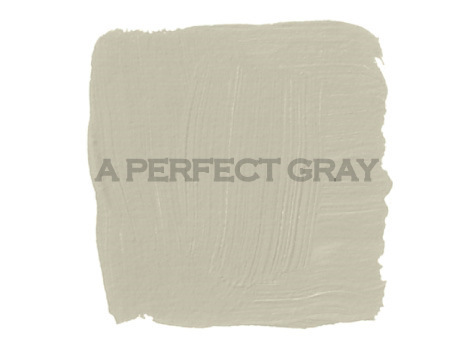 Clean-lined bedding in a color from the painting completes the unfussy center of the room. Sleek glass lamps are on the nightstands and plain silk drapes are at the windows. Edgy B&W portraits of us from a recent photographer session are around the room in a couple places. I wouldn't do anything permanent to your dining table, but I'd accessorize the heck out of that room to give it the lighter feeling you want! I like the draped table too! I wouldn't change out your table, just drape it! I liked the above annon comment about breaking up your bedroom furniture- that sounds like a good solution. 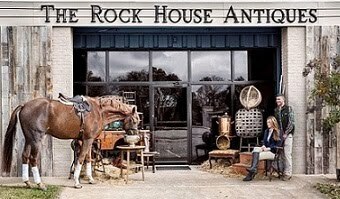 Personally I have always sold things that I have tired of (it helped having an antiques business;). I'm empathic that one should only have things in their home that they absolutely LOVE, not like, LOVE!! I just recently became a new follower and so glad I found your blog (: I'll be back often for future posts! 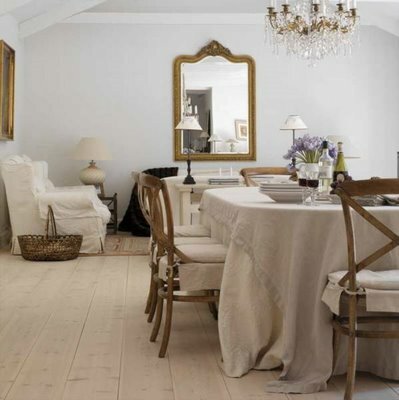 I love a table draped in a thin flowing, sheer white fabric with a thicker linen table runner...it adds such softness. The thinner first layer allows light to shine through exposing the silhouette of the darker wood underneath. As far as your bedroom furniture situation...hum...I'd move them into another room and go to goodwill/yard sales in search of pieces to alter to give the quirky-mismatched feeling you're wanting. Not sure what kind of bed you have, but you can always cover the headboard with fabric to give it an upholstered look...that is, unless posts are involved, then painting might be required (: Can’t wait to see what you decide! Same problem here! But a few linnens and the right accessories can make a big difference. both! i vote for some new linens and a few new serving plates/vases to mix it up. I recently sold my dark and heavy dining table (WAY faster than expected and for way cheaper than I should have...love and learn!). Now I'm realizing how expensive a replacement is going to be and wishing I had asked someone to strip the old one for me. I blogged about dining tables a few times in June...and am abbot to do it again. The hunt is harder than I imagined! Love your blog and got pretty deep before I could pause to comment. I am passionate about linens and aquire them everywhere. Some of my favorites are from World Market. I buy second hand linens from furniture fairs, and take the occasional splurge on new. I never get tired of them--Ever!